Successfully Added Digital Eyepiece for Telescope - View + Record to Computer to your Shopping Cart. This easy to use digital eyepiece for telescopes connects to the USB port on your computer and gives you a real-time image from your telescope-- directly on your computer screen! This is the best way to view high resolution images of the moon, stars, sun, solar systems and more, and without having to bend over your telescope and squint with one eye to enjoy the heavenly attractions. If you own a telescope then this digital eyepiece will make using your telescope easy and fun again for the whole family. The image quality of this digital eyepiece is simply amazing too. This is because this astronomy camcorder eyepiece uses a 1/4 inch 1.3 megapixel image sensor for delivering high image quality and remarkable detail like you have never seen before. 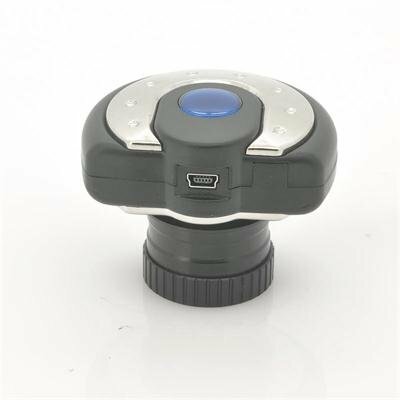 Included with this digital eyepiece is a DVR software kit for recording those beautiful images in 1280x1040 video or photos. This makes sharing your high resolution images with your friends, family, or the internet, easier and more enjoyable than ever. You don’t have to be an astronomer to use the USB digital eyepeice for telescopes either. With the easy setup and user friendly software, even children can get in on the action. Simply attach the eyepiece to any telescope, attach the USB cable to your computer, open the included DVR software, and position your telescope like you would normally. That’s it! You can now, view, record and capture all your favorite celestial bodies from the comfort of your own home. The best part of it all is that unlike a traditional eyepiece, all your friends and family can actually view the same images from the telescope at the same time. This digital eyepiece for telescopes is built using high quality components and is fully backed by our 12 month guarantee. Competitively priced for the wholesale market at about half the cost of similar products, it is guaranteed to be an excellent niche market resale item. Place your bulk orders now while supplies last and we will express ship your order by tomorrow. 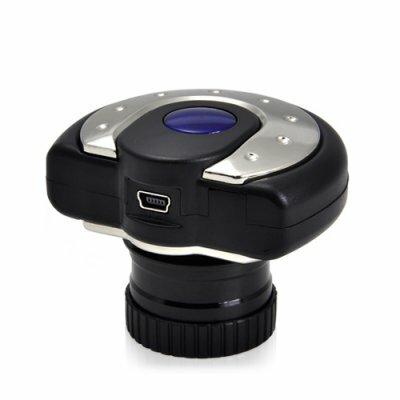 The digital telescope eyepiece is available only from the leaders in wholesale electronics and cool gadgets, Chinavasion. Not very intuitive to install, it lacks a little more definition picture, but the good points well worth it. This little electronic eyepiece is doing a wonderful job to take the best of your scope in luminous situtations. I use it at the end of my 10 inch refractor telescope to make very good pictures of the moon, with detailed craters and shadows. It does not work for planets because they do not occupy enough field and the averaged luminosity adjustment fails completely with an irremediably saturated image. I also use it at the end of my 80mm refractor for bird watching, and a saw many ornithologists dropping their jaws on the imaage quality and magnification. The highest resolution is limited at 1280x1024, but perfect within that field. Low luminosity shows the webcam noise relatively quickly. Well it is not an astro grade CCD at this price. I wish I could submit some of my pictures as a testimony of my appreciation. I tested the cam connecting to a Celestron 80 FS telescope, the images of the moon are very contrasted, I'm very happy to purchase it.